This recipe is quiet simple and doesn’t require to much of your time, for me this is a nice and simple meal for those days I don’t really feel like spending too much time in the kitchen, but still have something good. As with many other recipes I used adjuma pepper for some heat, but feel free to use a habanero for similar taste if you cant find adjuma peppers where your live, and if you can’t find both just use chilli peppers. 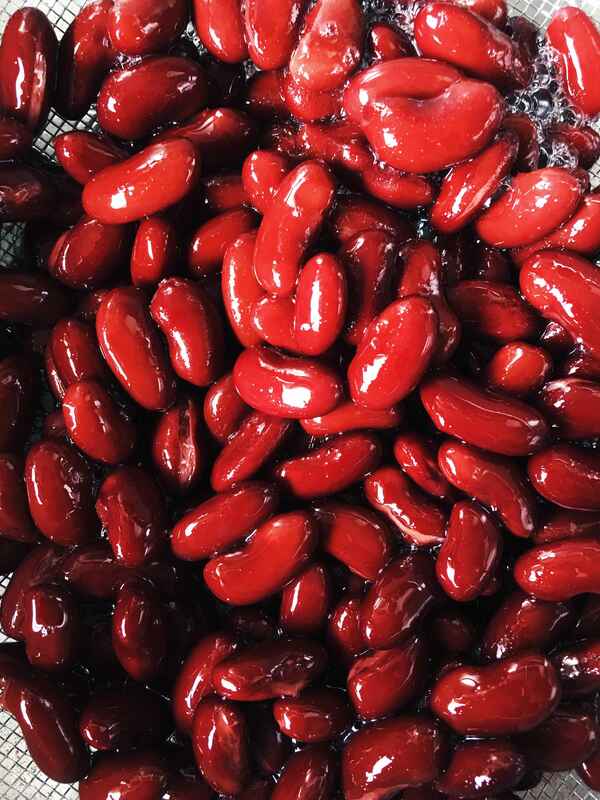 Aren’t these beans absolutely beautiful? Now back to the recipe. I like pairing this curry with short grain rice, its nice and sticky and a fun alternative if you’re used to eating a lot of long grain rice. 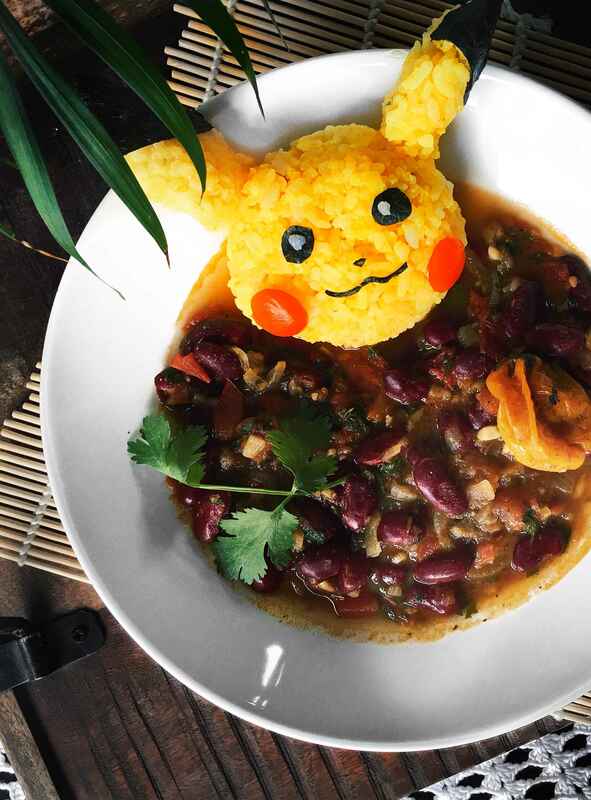 As you may have noticed I’ve made a pikachu shaped rice ball to go along with the curry, if you’re in a hurry just go ahead and just have it with some plain rice. But if you have some time on your hands why not make some interesting creations, short grain rice is perfect for making fun shapes and figures. 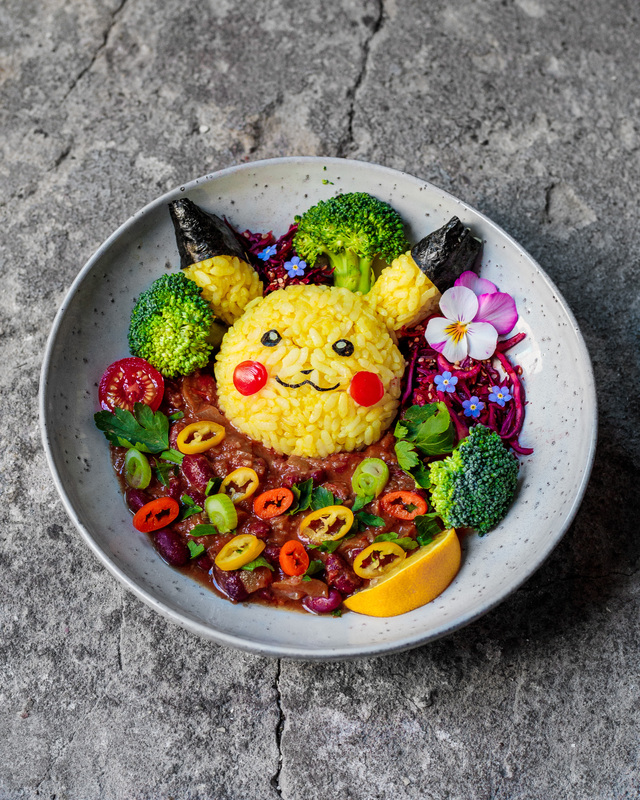 If you decide to recreate this rice ball, you can use turmeric for food colouring, seaweed to make the eyes ,nose, mouth and ears, tomato to make the cheeks and a little grain of rice to make the pupil. 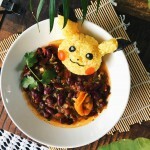 Now lets get cooking, and who said you can’t play with your food!? If you decide to recreate this recipe or have some comments, feel free to leave a comment below or tag me in your recreations on Instagram. Start by sautéing the onion and garlic. Once the garlic becomes translucent add the diced tomatoes and cook for another 2 minutes. Now add the remaining ingredients except the cilantro, cover the pot and let it simmer on a low heat for about 25 minutes. 5 minutes before the dish is done add the cilantro or use it as garnishing. During this time you can start preparing the rice. Keep in mind that many bouillons have salt added to it, so wait with the salt and add it after you tasted the dish.